China is fast growing as a leading global power, as the Euro-American-Japanese empire is on decline. The implications for Africa are huge. Ultimately, it is up to African governments to shape China’s power in ways that will benefit their people. As I wrote this essay, the Western media was awash with the news of the week-long 19th Congress of the Chinese Communist Party that started on October 18. Now we are witnessing the beginning of “the Xi Jinping era”. 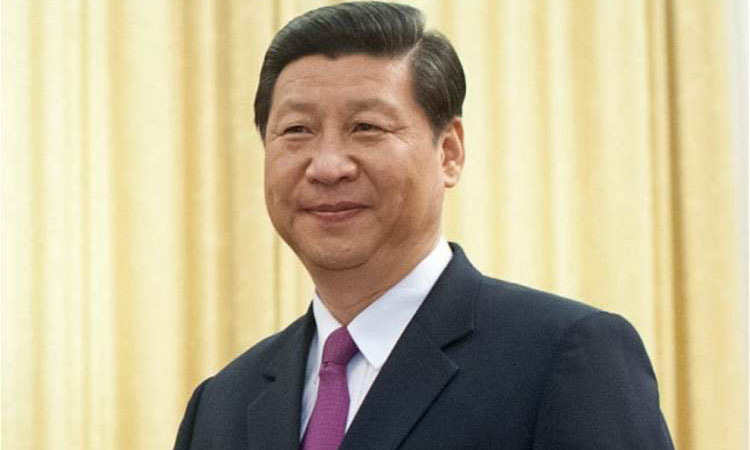 The Economist dubbed the Congress as a “coronation” of Xi Jinping. Before we get deeper into this, we need to put the 19th Congress in a proper historical and geopolitical context, in order, especially, to understand the implications of the rise of China for Africa and for the peoples of the global South. For five centuries the West has ruled the world. It is now broadly recognised that the Euro-American Empire is collapsing, and the power that is gradually but surely neutralising the Empire is China. China’s rise is palpable. This worries the West, especially the United States which is a Pacific Ocean nation as well as Atlantic. With its US “hub-and-spoke” strategy for Asia, the USA has been assuring its strategic partners across the Pacific that it is the only country (and, Japan, its ally in the Pacific) that can provide them security against China. But this is only partly true; most of the Asiatic countries know of the waning power of the United States and Japan, and are hedging their bets between the US and China. Strange as it may sound, China is not really keen to take over from the United States. It is not ready to provide global political leadership. President Xi says China still needs another two decades to “catch up” with the West, and to address the serious problems of poverty and inequality that still plague its countryside. At the Communist Party’s 95th anniversary, July 2016, Xi had pledged to return to Marxist roots. “I’m afraid the propertied classes have taken over,” he said, “the poverty gap is generating class tensions”. So, China’s first priority is to address class contradictions within the country. But the problem is that the Euro-American-Japanese Empire is collapsing faster than China had expected. At the World Economic Forum’s 2017 Davos Conference President Xi more or less said that the USA is no longer able to stabilise the world, and so China has to take over the leadership, even when it has its own internal challenges to address. In our times, competing ideas about contemporary “order” and its moral basis articulated by political thinkers and policy strategists from Cuba, Iran, China, Russia and Africa are in many ways fundamentally different from those of the “mainstream” Euro-American thinking. And even if they share some common values — human rights, for example, or good governance — their application in concrete situations raises serious questions for debate. That is why the West continuously talks about bringing countries like Cuba, Iran and Zimbabwe “back to order”. China, too, has a different conception of “order” and morality, and it challenges the mainstream conceptions on issues such as human rights and governance. But because of its size and power China can withstand Western sanctions better than Cuba, Iran or Zimbabwe. At the 7th Strategic and Economic Dialogue between the United States and China in Beijing in June 2015, among other matters, the two countries discussed climate change, cyber security code of conduct, protection of oceans, and combating wild life trafficking. But more importantly, China said that the international order needs “new norms” based on cooperation, not confrontation. China calls for “responsible” cooperation between the two as “equal partners” to build a new international order. The US gave lip-service to the idea of “co-operation”, but in reality it is following policy of “containment” — much like it did in respect of the Soviet Union during the “cold war” era. The US has heavy military presence in the China Sea, and strong ties with Japan and South Korea. In South Korea alone, there are 28 500 American soldiers, sailors, airmen and Marines. China is setting “new norms” of international relations — which it calls in typically dialectical note — the “new normal norms”. Whilst challenging the “old norms”, it has gone about it subtly, setting up new structures of global governance to the IMF, the World Bank and the World Trade Organisation (WTO). It would be interesting to study how China challenges the WTO at its eleventh Ministerial Conference in Buenos Aires in December 2017. Between 2001 and 2011, total trade (exports + imports) between Africa and BRIC (Brazil, Russia, India, China) grew from US$22,9 billion to US$267,9 billion. Although for Africa, traditional trade partners such as Europe and the US remain important, Brazil, India and China together bought a quarter of Africa’s exports in 2013. China is Africa’s top business partner, with trade exceeding US$198,5 billion — compared with US-Africa trade amounting to US$99,8 billion in 2013. This, by any accounts, is an interesting development. This has provoked some heated discussion in the West, where the China-bashers portray China as a rogue dragon. 1. What is your opinion on the growing presence of China in Africa? Is this the way South-South cooperation should be set up, or is China yet another empire ready to exploit Africa? 2. While travelling around Angola, I saw empty Chinese-built buildings, (President Eduardo) Dos Santos and his companions making a load of money off selling oil to China while the slum-dwellers in Luanda are still drained of any perspective of development. That “oil for infrastructure” model does not seem like a model leading to sustainable development. Do you agree? 3. One of the main differences people point out between China and Western powers in Africa is that China never meddles in domestic affairs while the West brings an entire agenda (an agenda you have called imperialist and others have dubbed paternalistic). Is this correct? And do you foresee China becoming more political in the future as the country gains in power and will that change the relationship with Africa? I will not answer these questions here, except to say that whilst some Africans have genuine concerns, Western anxiety about Chinese presence in Africa tells more about the failure of their model of development than about China. Of course, there are people in the West who see the Chinese presence in a positive light. In “The Dragon’s Gift: The Real Story of China in Africa”, Deborah Brautigam, argues that Africa and China are in a “win-win” relationship. The book is based on years of research travelling around Africa, visiting Chinese-funded projects cutting across agriculture, industry, natural resources, and governance. She ends with a sound advice to Africans and the West. As an African, I share some of the concerns about China in Africa, and I’ve challenged African governments to tune up their negotiating skills with China (as also with Europe, the US or India). There is no reason, for example, why China should bring its workers for China- funded construction projects in Africa, nor why the Chinese should set up small shops — a sector best developed by Africans themselves. Brautigam is correct to argue that “ultimately, it is up to African governments to shape this encounter in ways that will benefit their people”. This said, I would add that for Africa and for countries such as Cuba, Venezuela and Iran, the Chinese model is better than the Western. Taking a step further at a global geopolitical level, I would argue that Africa should take advantage of the BRICs grouping — especially China — to balance the power of the American-European-Japanese Empire that presently dominates Africa. Turkey in this respect provides a good perspective; President Erdogan is adroitly turning away from the West. He may, for example, join the Shanghai Corporation led by China and Russia. Africa should take a leaf from Erdogan’s book. In concluding this essay, I cannot resist the temptation of quoting from Amitav Ghosh’s novel, “Sea of Poppies”, where the British agent, Burnham, who is in the business of growing opium in India and exporting it to China, says: “I see no reason why an Englishman should abet the Manchu tyrant in depriving the people of China of opium”; and, in a wishful thinking that the demise of China is for good, he says: “Johnny Chinaman thinks he can return to good old days . . . no longer, he has tasted opium”. Things have changed. China is fast emerging as the leading nation. This is a reality even the West cannot ignore, let alone Africa. — Pambazuka News.